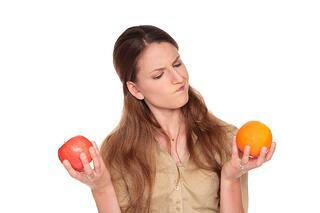 USPTO Assignments and UCC Assignments: Apples and Oranges! The short answer is no – it’s like comparing apples to oranges, but sometimes it is yes. What are some of the similarities and differences between UCC3 Article 9 assignments and assignments made with the U.S. Patent and Trademark Office (USPTO)? Article 9 of the Uniform Commercial Code (UCC) allows a secured party (SP) to file assignments via UCC3 amendments. There are several types of assignment filings a secured party may make with the appropriate central filing office and/or local filing office. Like security interests that may be fully or partially assigned under the UCC, intellectual property (IP), such as patents and trademarks, may also have ownership rights transferred in full or in part on the public record at the USPTO. In both cases, when an IP or UCC assignment filing is made, the filings end up in the public records so that searchers can find them. In the UCC Article 9 world, an assignment (UCC3) is linked to the initial financing statement (UCC1) in the public records so that the relationship between the two filings is clear. Both filings, the UCC1 and UCC3, are indexed together so that a search of the public record, by a debtor name, will reveal both the financing statement and the amendment in one search. In the USPTO world, it does not work the same way. At the USPTO, assignments and other changes are not directly linked on one index when searching by name, which is ordinarily how due diligence searching is conducted. A name search of the USPTO index will not yield one set of complete results containing both trademark registrations and all trademark assignment filings. On top of that, at the USPTO, some “assignment” filings are not actually assignments by definition, yet they are all categorized as “assignments.” In other words, a filing on the assignment database of the USPTO may NOT be transferring ownership rights in full or in part. Which means that search results will include actual assignments and other records that are not assignments in the true sense of the word. So, what other filings are included as “assignments” at the USPTO that are not really assignments? As an example, searching either of the assignment indexes at the PTO may include name change results because the owner of IP changes their name while retaining ownership in their IP. Technically, this is not an assignment by definition, but the change is filed on the assignment index. Another example is where the filer intends to file a security interest, but does not intend to change the underlying ownership of the IP. Adding to the confusion, IP filers also have the option to choose to file using the “Other” selection as an option and to enter a conveyance type not already provided as a selection, which means that almost anything can be included on the “assignment” records at the USPTO. The main points to all of this are that assignments of UCCs are always assignments. However, assignments of IP are sometimes “assignments” but other times they are not. Moreover, assignments of UCCs are always linked to the initial financing statements, but assignments of IP filings are often not linked to the original filings depending on the USPTO index that is searched and how the search is conducted. So don’t think of USPTO and UCC assignments in the same way. That would be like comparing apples to oranges and can get you in trouble!